﻿ Penrhyn House. Exquisite Holiday Home in Penryn Bay. 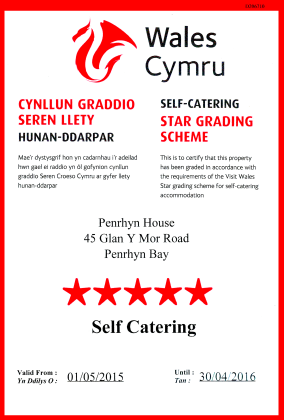 Penrhyn house is an attractive large four bedroomed detached house situated in the seaside resort of Penrhyn Bay. Penrhyn Bay is situated close to the beautiful landscape of The Little Orme which is between the Victorian seaside resort of Llandudno and charming Rhos on Sea.